LEGO custom high-speed Train MOC #2! Here's my latest custom LEGO passenger train MOC, now in what I'm calling 99% complete state. It's an electric multiple unit, intended to be run in a realistic 2- or 3-car configuration, but compatible with the middle car from my older train as well. It's also infrared remote controlled using current Power Functions components. 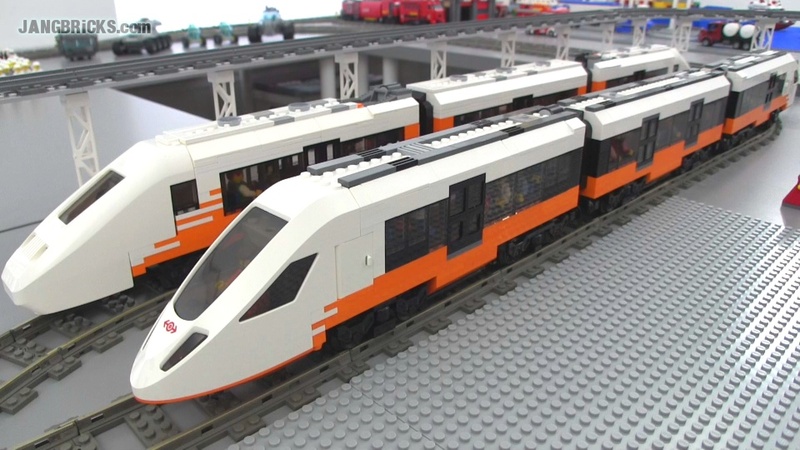 The video shows the overall design as well as plenty of running footage around both loops of my layout..
Video: LEGO custom high-speed Train MOC #2! As always, things will surely be tweaked over time! Jang, just an idea for your town layout, but you should build a garbage truck MOC for your layout.